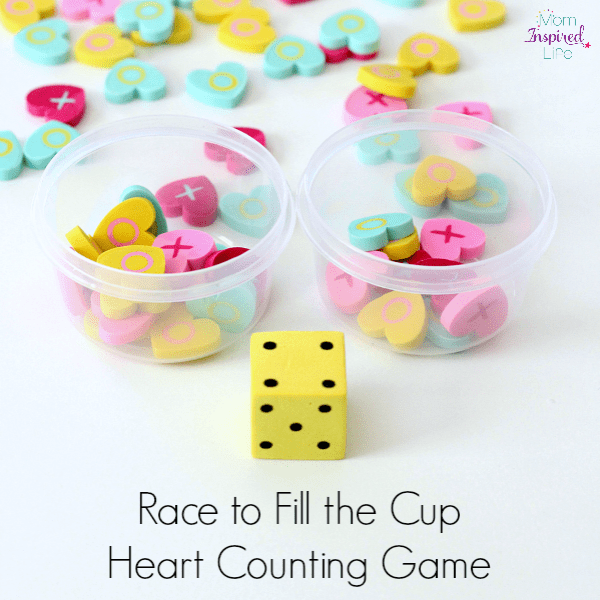 My kids loved this race to fill the cup counting game with mini erasers! 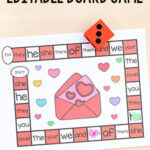 We used heart erasers so it is perfect for Valentine’s Day, but you can do this for any theme. Lately, we have been doing lots of games because my kids are totally into them. They are up for learning most things if I use a game to teach it. 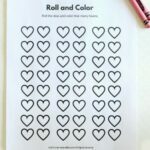 They LOVED this heart counting and threading game we did the other day, so I figured we would try another one. This one didn’t disappoint either. My son already knows how to count pretty high, but it’s still fun to review with a fun game. 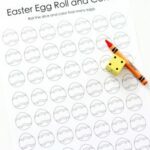 Plus, you can use two dice and practice addition. Put all of the erasers in a container on the table. 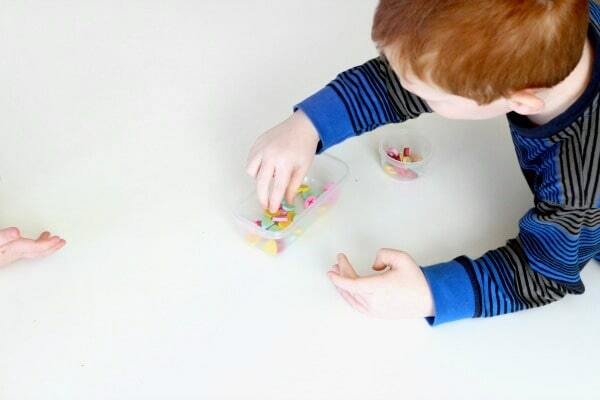 Give each player a small cup to fill and put the dice on the table. 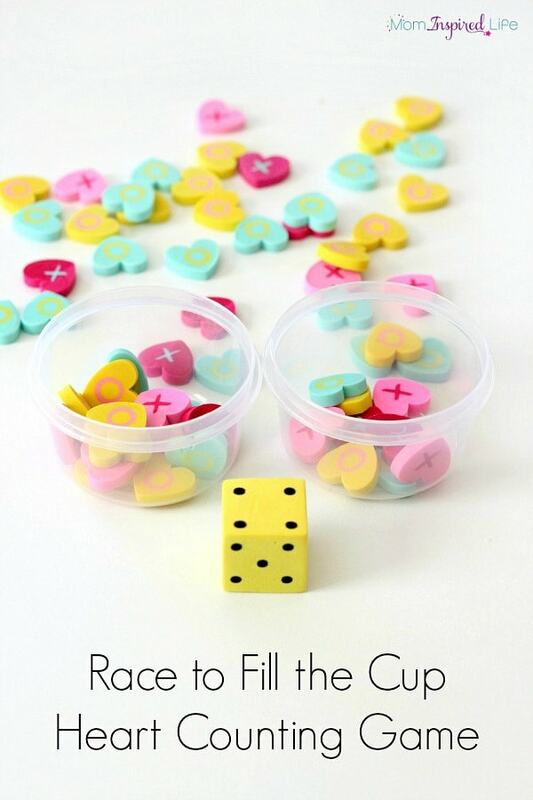 Each player will take turns rolling the dice and adding that many mini erasers to their cup. The first player to fill their cup wins! 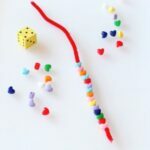 This was a great way to introduce counting to my toddler. She can only count to three and I have to help her with the one to one correspondence, but the fact that it is a game is enough to keep her interested for a short time. My son loves the competition aspect of this activity and he really gets into it. This also gives us a great opportunity to work on being kind whether you win or lose. Oh, boy is that a tough one in our home right now. 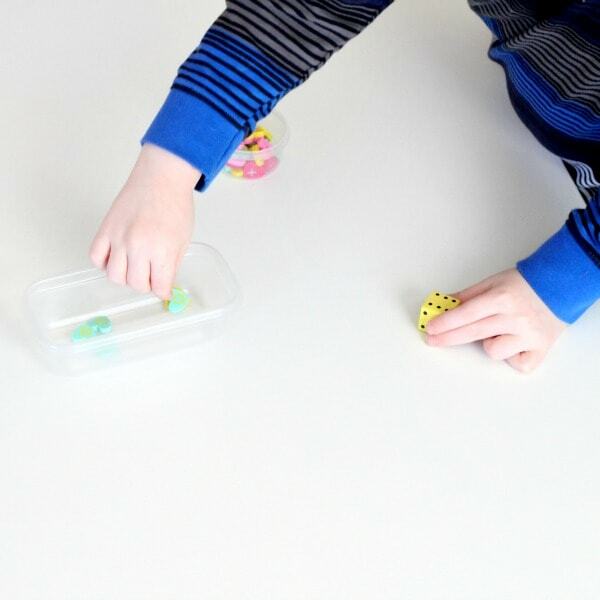 You can use this activity to practice simple counting to six and addition of two numbers. 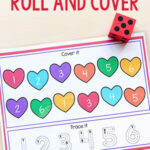 To practice addition, children will use two dice and add the numbers together. Then they will add that many to the cup. No matter how you play it is sure to be lots of fun for your kids! This post is part of the Learning with Manipulatives series. 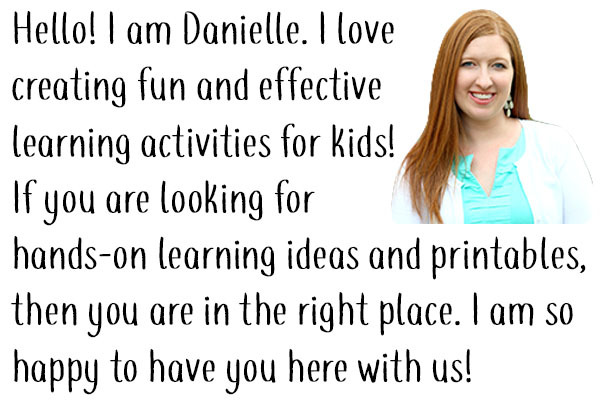 Each Tuesday, a group of bloggers will be sharing hands-on activities you can do with a specific manipulative. This week we are featuring mini erasers! 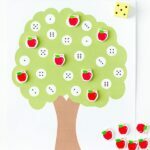 Here are more learning activities with mini erasers.